As I have been very busy with other things in my life, I have not been able to update my blog as much as things have been growing. 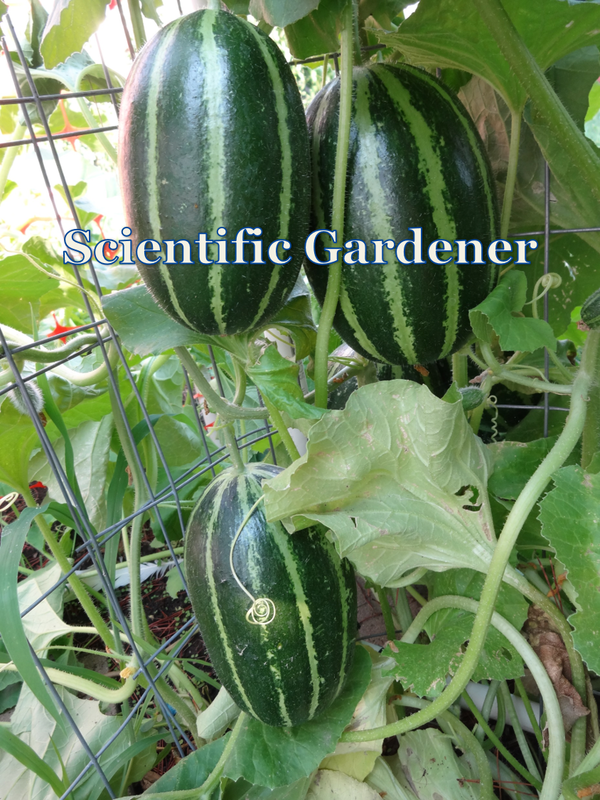 Having three gardens that I am working in has really stretched my abilities to make sure I am staying on top of the carosello varieties I have been growing and to ensure that I keep each variety pure. 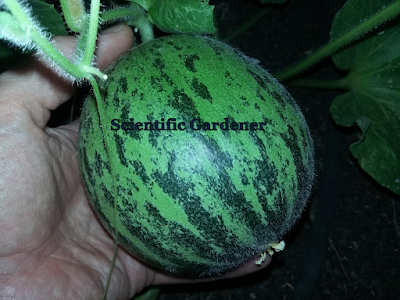 The Tondo Tarantino: Most of my Carosello Tondo Tarantino have begun to fruit now. I'm looking forward to the taste. I believe something about growing onions depleted the soil a bit, but I added some ammendments and it came back to life. Birds keep pooping on the plants and I have been struggling a bit with downy mildew, which I believe may have been brought over by the birds - or at least the bird poo is not helping the situation. A very nice looking carosello though. 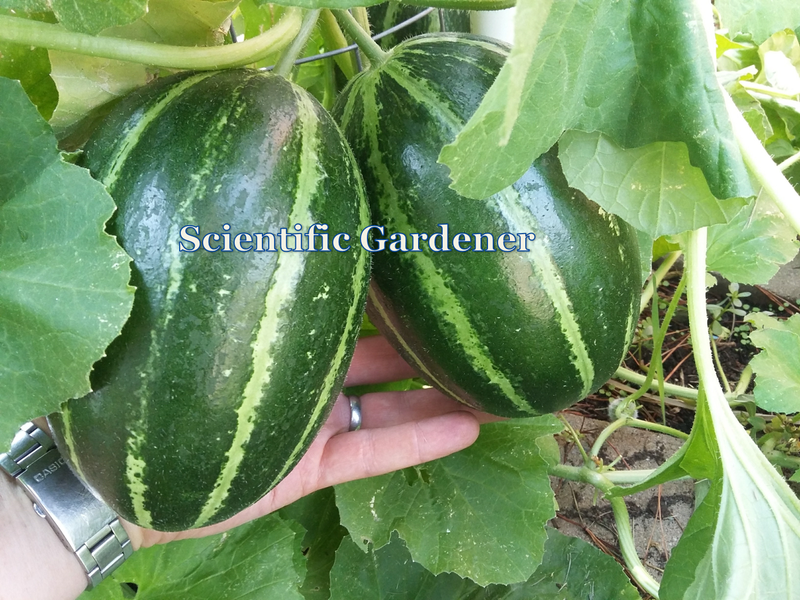 The Mandurian Round: I started a late planting of the Mandurian round from two different sources to see how the fruit or growing pattern might be different based on the seed source. 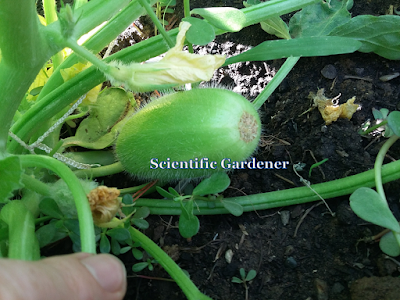 They are struggling a bit in the heat, but steadily growing. The fruiting stage can be very difficult if the plant does not receive adequate water. The Easy Ollas are helping, but the water needs at this stage can be pretty demanding. The Unknown oval Mandurian/Massafrese variety: The shape of this variety continues to be mostly oval, but the color has darkened over time. It did not start out dark, but became very dark over time. It looks more like a Massafrese, but I really can't tell. I may have to grow it next to a massafrese later to be able to determine the differences. 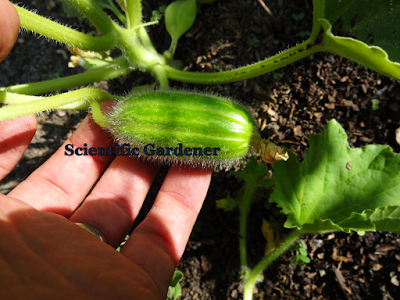 The Carosello Spuredda Taratino that turned out to be what I am going to call the Meloncella Fasciata: For reasons that I'll gladly share with anyone who would like I will not refer to this as a carosello variety, though in every way it is. This variety is pretty consistent. Almost all of them have been relatively solid dark with light stripes and exhibiting very few light splotches. 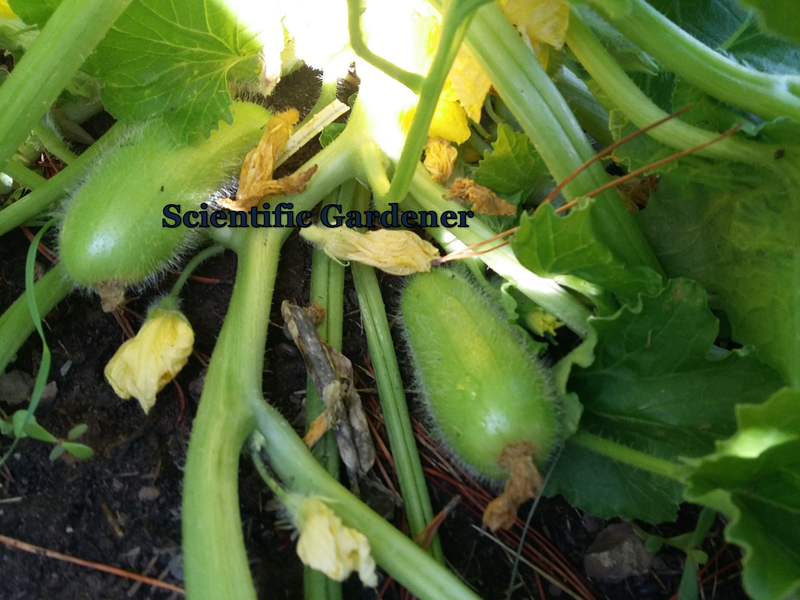 Given the majority of the fruits produced on the plants of this variety are the same, the seed of this variety will most likely be relatively stable. I will see if I can possibly grow in a few more plants to sneak them in before the weather cools down. The current pictures reflect the fact that the fruit is now in its seeding stage. Note: as these fruit are now mature and producing seed you would not really eat them at this point. While younger, almost all of them produced very uniform cylindrical fruit. I couldn't be more grateful at finding this variety! The Carosello Barese that is mostly just Carosello Barese: This is a variety that my friend Giuseppe found some dark spotted variants in. So far the fruit produced has been mostly - well just the normal Barese. We will see if anything else interesting reveals itself. If not, there are plenty of friends and neighbors that would probably enjoy some Carosello Barese for lunch or dinner. 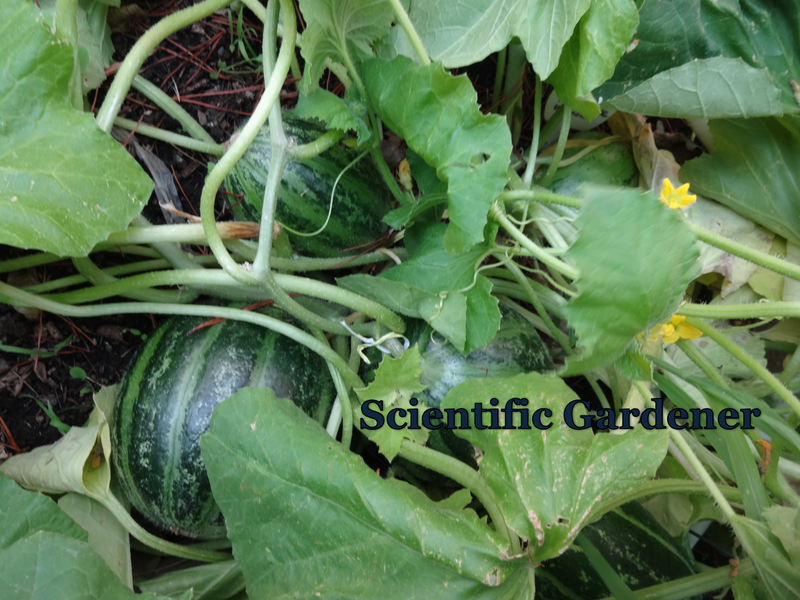 The Spuredda Leccese that turned out to be something different: I had suspected for some time that some sources of the seed of Spuredda Leccese are not necessarily pure. 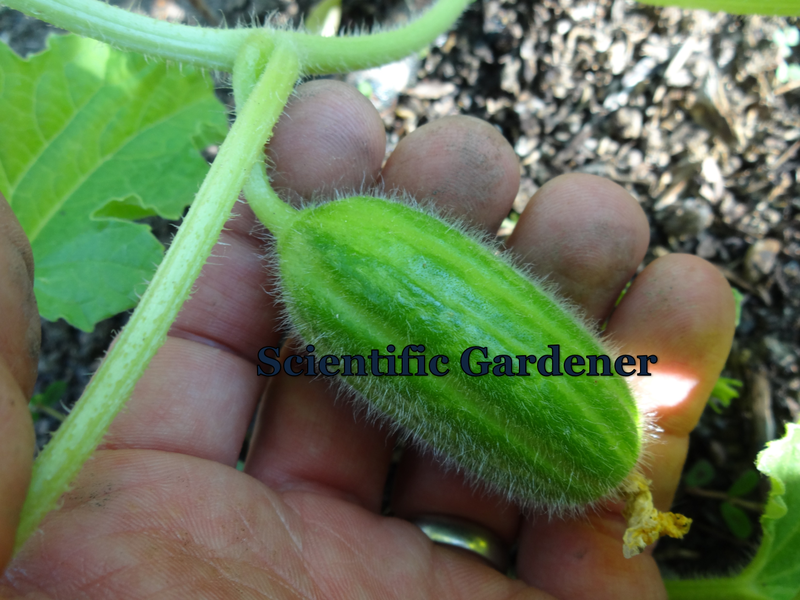 This leads me to believe that if another seed saver and I work on it, we could come up with a more palatable alternative to the Carosello Polisello. For now, I just hope you enjoy seeing these pictures. As one final note: I work very hard to only sell carosello that are stable, true-to-type varieties. This means that I cannot offer something to the general public until I make sure that the seed I sell does not grow too many off-type carosello. 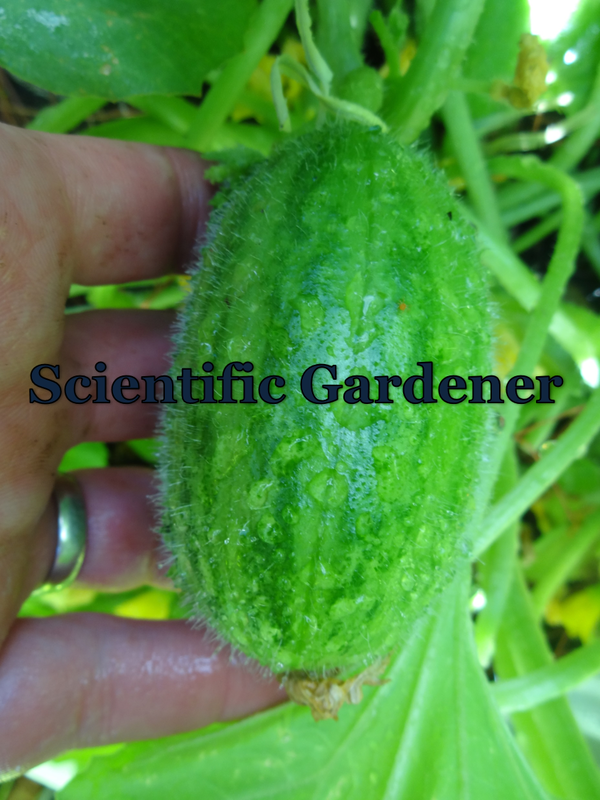 Though some of the more exotic varieties you see may eventually make it into the little CucumberShop, I work hard to not release any carosello variety until I feel it is stable and worth growing.